Depending on your Point of View, bike rides are either cake stops separated by bouts of digestive peddling, or riding broken up by the occasional cake stop. Whatever your PoV, cycling is a lot less fun without the bits in between. Look into the mind of the regular bicycle user and a mental map unfolds based not on geography – hills being a notable exception – but on a topological network of Points of Interest linked by a mesh of routes. Post-its and scribbled annotations abound; “Closes at one on a Tuesday”, “Quick but busy”, “Bit of a slog but nice view”. One can’t buy this map and it’s organically interactive in a way web developers have yet to crack. Even if Greytooth and Universal Fleshy Interfaces had already evolved, we’d still be struggling with the too-much-information filter during download – “Caught short here last week”. This map is available only in exclusive, serialised instalments from the publishers of Experience. The first in this Points of Interest series is the Eynsham Emporium on Mill Street. A cookware shop with a pucker espresso machine and serving savoury food as well as cakes; the pink pom-pom blossom in the sunny courtyard is particularly pleasant at this time of year. Follow this link to the route and you’ll see a straight forward way out of Witney along the A40 Cycle Path. You can return the same way, or if it’s dry and you’re feeling a little more adventurous you can take the scenic route back through South Leigh. Be aware that there’s a section at the end of Chilbridge Lane which goes over a couple of fields until you reach the road from Barnards Gate taking you into South Leigh, which is why you should only do it during a dry spell, but it’s perfectly rideable with care – no mountain bike required. This is in fact the yet to be completed proposed section of Sustrans route 57. Similarly, on the section from High Cogges to Tar Lane there’s a part which you don’t want to try if it’s been wet. Also, that section is strictly a footpath so if challenged you should push your bike. I’ve never had a problem, and neither have I seen the farm vehicles being pushed along the road there either. Advances in IT are helpful in gaining experience of these routes. The route can be downloaded from the Bikehike site to a GPS receiver – that’s SatNav for walkers and cyclists. GPS is a great aid to finding your way and can take the drudgery out of following an unfamiliar route, but don’t be tempted to rely on it without a map unless your mental map already has the area sketched in. 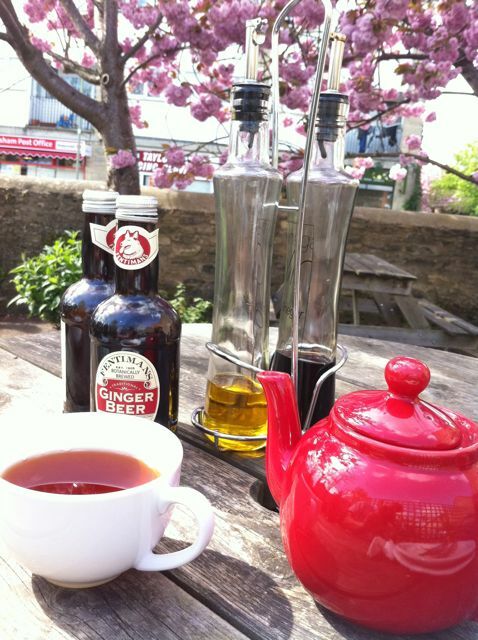 If you fancy something to relax with later (you’ll deserve it after all), just across the road from the Emporium is Eynsham Cellars. 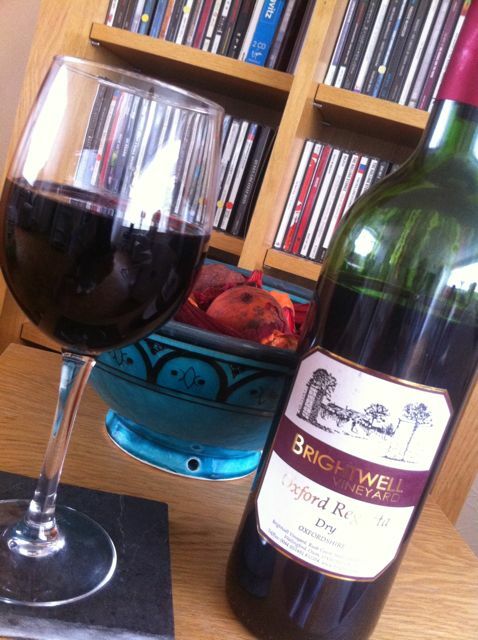 You’ll find wines here produced in Oxfordshire by Brightwell Vinyard near Wallingford. Expensive compared to supermarket fare but it does make you appreciate it. Cheers! This entry was posted in Points of Interest and tagged bikes, cafe, words on Sun 17 Apr 2011 by kevin hickman.